1 The sun rises as refugees and migrants walk to pass from the northern Greek village of Idomeni to southern Macedonia, Sept. 11, 2015. The sudden onset of autumn has taken tens of thousands by surprise all along the Balkans route from Greece to Hungary. 2 Refugees and migrants react as they arrive on a dinghy from Turkey to Lesbos island, Greece. 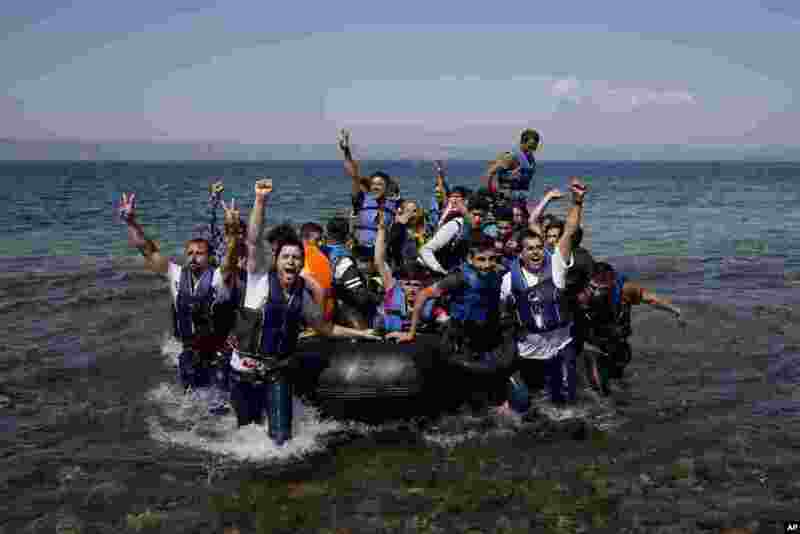 The flow of migrants across the Mediterranean from Syria, Iraq, Aghanistan and Eritrea has hit record proportions this year. 3 A group of migrants make their way through fields and meadows in the early morning after crossing the Serbian-Hungarian border near Roszke, southern Hungary. 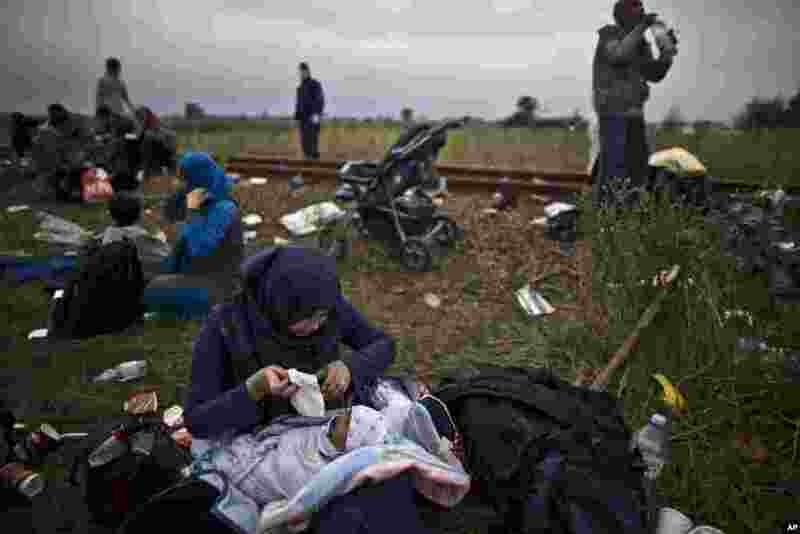 4 Iraqi refugee Umm Fadil, tends to her crying son, while resting by a railway track after they crossed the Serbian-Hungarian border near Roszke, southern Hungary. EU officials and human rights groups say they've been disappointed by the animosity toward asylum-seekers in countries from which hundreds of thousands of people fled communist dictatorships just decades ago.